Eukaryotic cells have an innate immune system which makes them able to detect foreign substances such as lipopolysaccharides, bacterial or viral nucleic acids and proteins, and take action to inhibit invasion by potential pathogens. Moreover, the cells announce the presence of harmful substances to neighboring cells via messenger molecules. As a consequence, these neighbors adopt defense modus without even having contact with the pathogens. 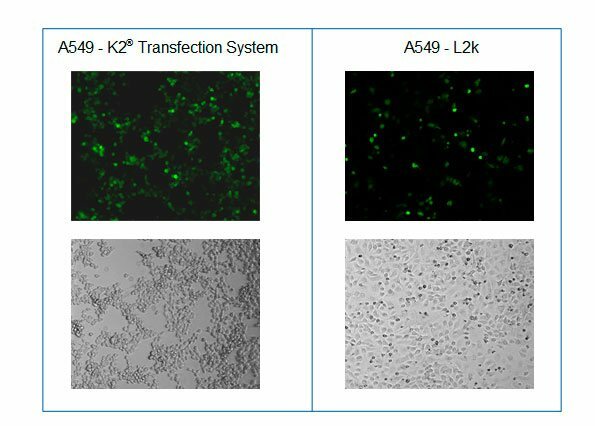 The finding that lipofection is also attacked by the defense measures of the innate immune system led us to develop the K2® Transfection System, consisting of the K2® Transfection Reagent and the K2® Multiplier. 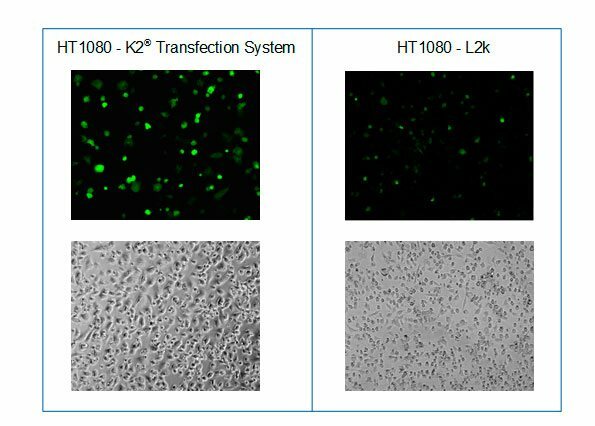 The K2® Transfection Reagent is based on powerful cationic lipids (as liposomes), while the Multiplier decreases the cells' ability to detect nucleic acids. 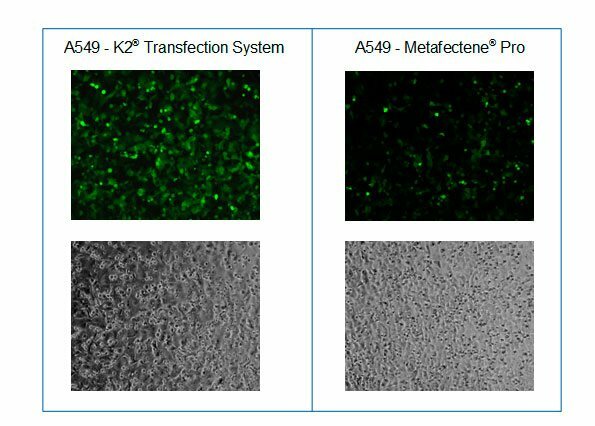 The K2® Transfection System is therefore a further development of the transfection reagent METAFECTENE® PRO. 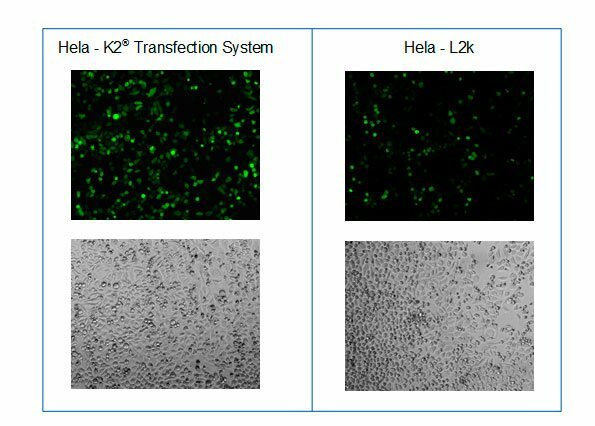 We were thus able to significantly increase transfection efficiency in many cases in comparison to traditional lipofection reagents, namely in transfection of DNA and mRNA. 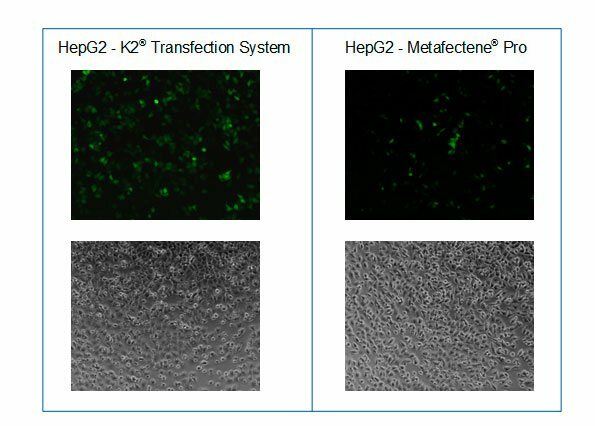 The K2® Transfection System is therefore suitable for transient and stable transfection of mammalian cell lines and primary cells with DNA (plasmids, bacmide), RNA (mRNA, miRNA, and siRNA), and modified nucleic acids (e.g. antisense oligonucleotides). Areas of application are particularly the production of proteins, antibodies, and viruses (e.g. adenoviruses, AAV, lentiviruses), cotransfections of different nucleic acids, genome editing (e.g. 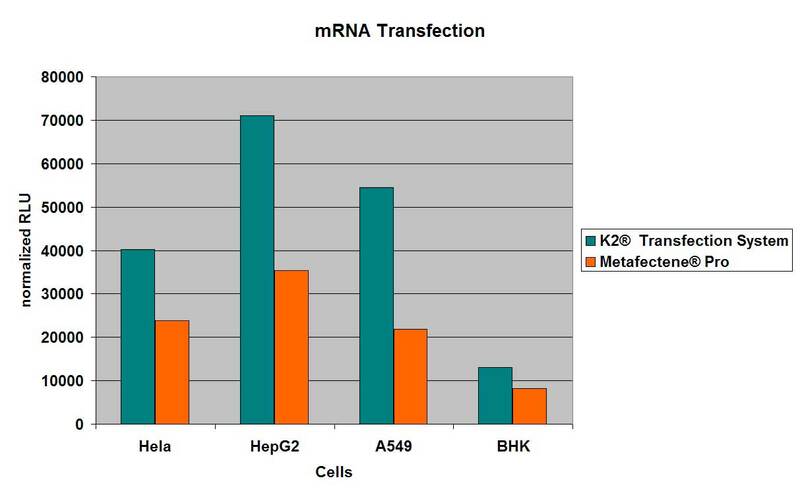 CRISPR/Cas9, CRISPR/Cpf1) and gene silencing (gene knockdown). 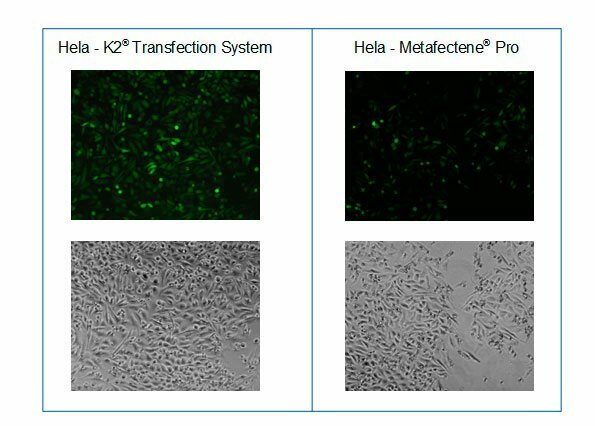 The K2® Transfection System is part of a temporal development series of transfection reagents from Biontex, which includes in particular the following reagents: : METAFECTENE® < METAFECTENE® PRO < K2® Transfection System < K4® Transfection System. 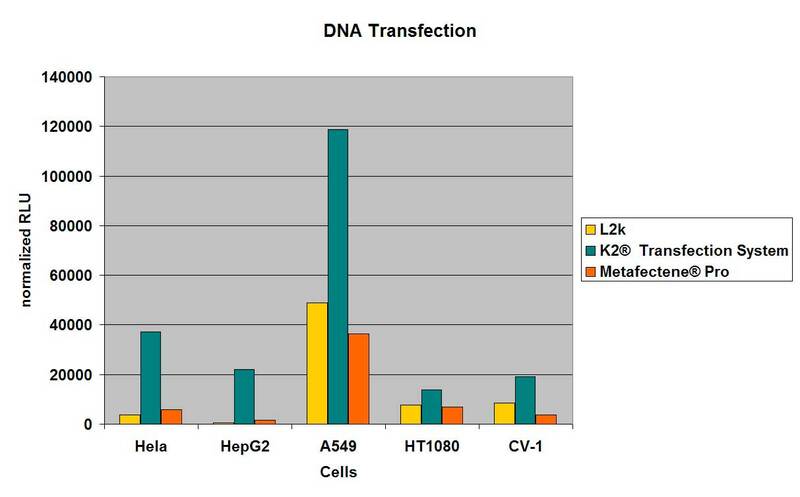 With the development degree the probability of a successful transfection increases (see also General Selection Aid).